One of our most popular hair service in the last few years, is the Keratin treatment, sometimes known as a Brazilian blow dry. When it first came to the attention of salon owners, it had undergone a huge transformation to make it suitable for the consumer. It had been known to have a small amount of formaldehyde which, although wasn’t illegal, wasn’t received well – understandably – with the public. The idea of this treatment was to fill each hair with pure keratin, a protein which hair is built from. Then intense heat would be applied to seal it in and close the cuticle to ensure smooth and shiny hair. During the process, some people found that their hair went from curly to straight, which was never the intention of the service and some people liked it and some didn’t. However, in the last couple of years, the formula has been tweaked but it still does the same as it was originally meant to do. For some clients with extremely thick hair, having the Brazilian blow dry, smooths their hair and saves a massive amount of time to blow dry. It can mostly be rough dried and finished with a brush and can last up to 5 months depending on how fast your hair grows. The more you have, the better it works too. There are many versions of this product on the market which are similar in ingredients and process but we choose to stock Amazon Shine as it is the best on the market for various reasons. Firstly after a consultation, your hair will be shampooed with a special sulphate free cleanser to strip the hair of any products or environment elements and left on for a few minutes. Then the hair will be dried straight with a brush. After this, the lotion will be applied and left on for 20 minutes before blow drying again. Once the hair is fully dried, straighteners will be used, taking tiny sections of hair and sealing the lotion in with intense heat. This is where the magic happens as the heat will seal the keratin into the hair. Once finished, your hair can’t be wet for 3 days. If it gets wet, the hair must be dried and straightened again. When 3 days is up, you can shampoo your hair as normal and it will no longer matter if you get your wet or not. 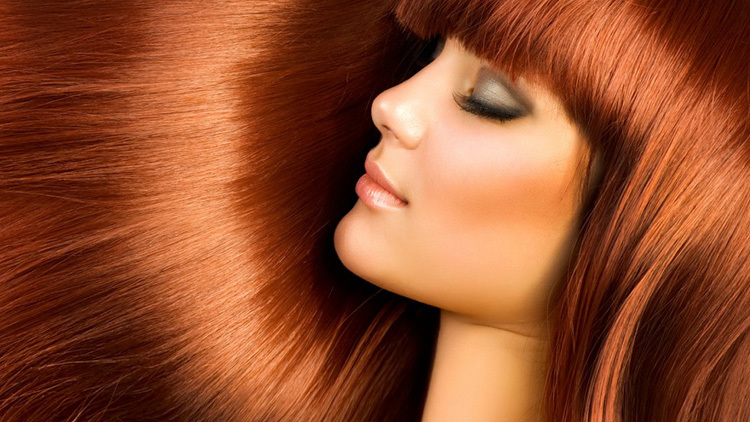 We have found that in some cases, clients say their hair is straighter but not in every case. In 99.9% of treatments, people say their hair is smooth and much easier to manage and quicker to dry. In other words, low maintenance. It can be used on any hair type, whether it has been chemically changed by colour or not. You must always use sulphate free shampoo and conditioner which is readily available everywhere and we have our fantastic Milkshake range always in stock in the salon. If you would like to know any more details about this product, please get in touch and we would be happy to answer your questions. Hannah and her YAT! Springing into summer!